Internationally renowned speakers in the field of Solvation Science give keynote talks on their research. The lecture series is organized by members of our Graduate School and Early Career Researchers. 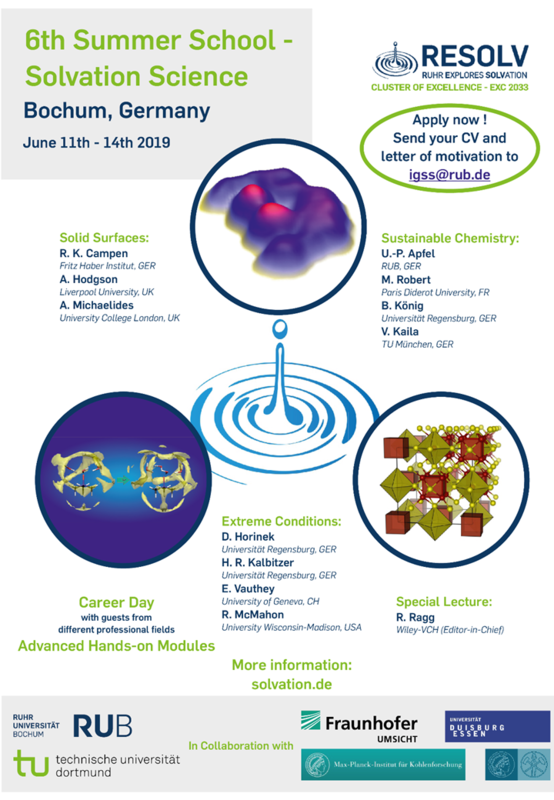 The lecture series on the 11th and 12th of June focus on Solvation on Solid Surfaces, Sustainable Chemistry and on Solvation under Extreme Conditions. Also a special lecture on the life as an editor will be given by one of our lecturers. Please see below for a list of confirmed speakers.